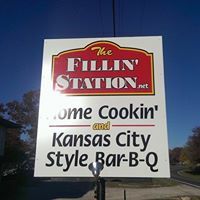 The Fillin’ Station, in Lampe, Missouri, offers home cooking and Kansas City Style Bar-B-Q. 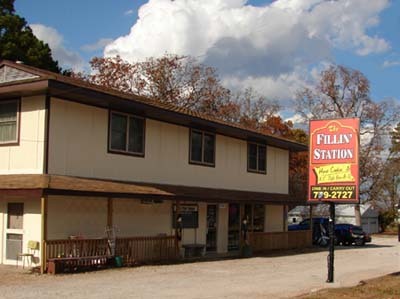 Voted one of the Branson area’s best restaurants, The Fillin’ Station offers dine in, carry out service and catering! Just 5 miles south of Kimberling City, it’s worth the short drive. 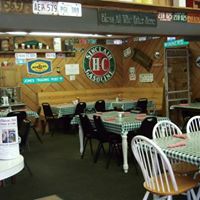 Try our famous BBQ Ribs or have fried catfish and shrimp on Friday night. Saturday is everyone’s favorite with our Fried Chicken. We just added chicken pot pie to our specials on Thursday! owned and operated a Sinclair Service Station in Kansas City. It was there he met his future wife, Verna Mae. To honor Dad, Cindy and David opened 'The Fillin' Station' in 2008 to honor his memory. Locals as well as tourists visiting Branson are very glad they did! 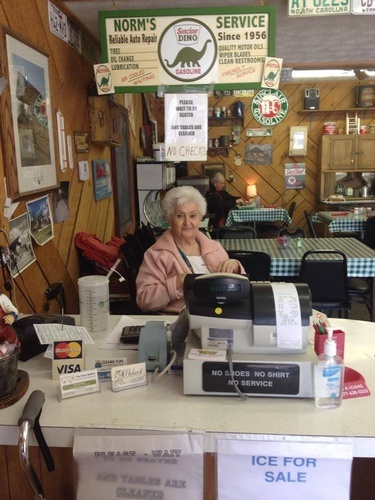 The family owned and operated restaurant has a reputation for fine food and great service. Once you try them, you'll want to come back! 5 miles south of Kimberling City in Lampe.